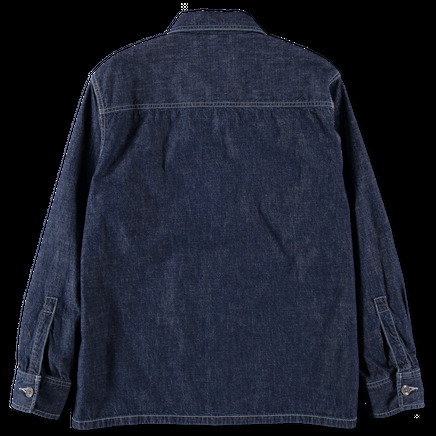 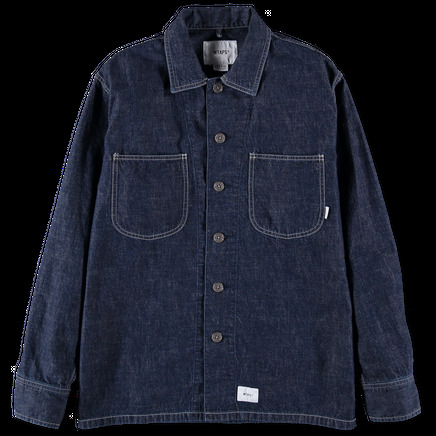 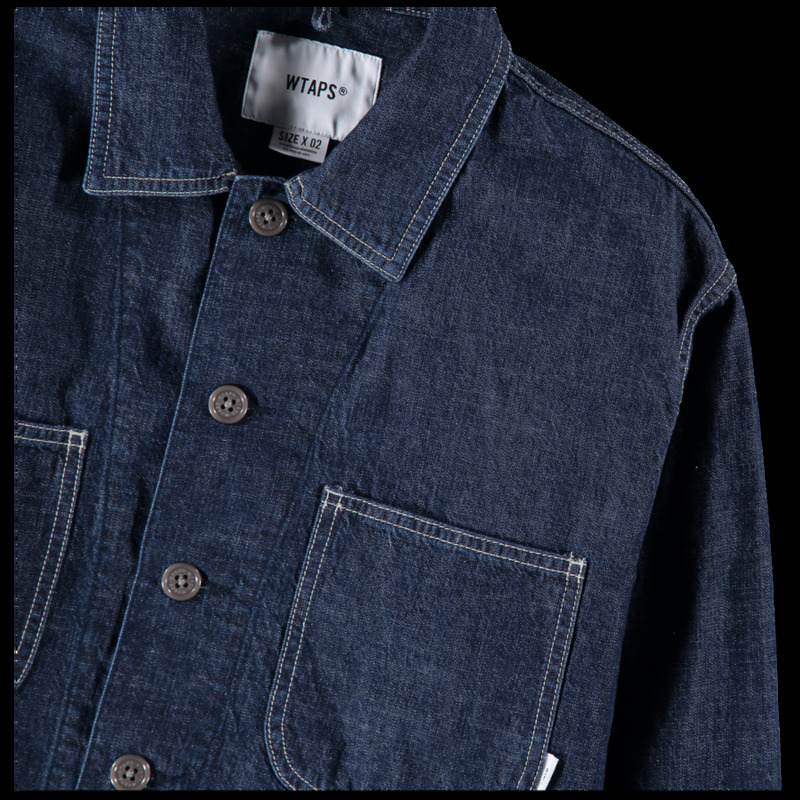 Generous fit utility shirt in lightly washed indigo denim fabric. Double chest patch pockets and buttoned placket. 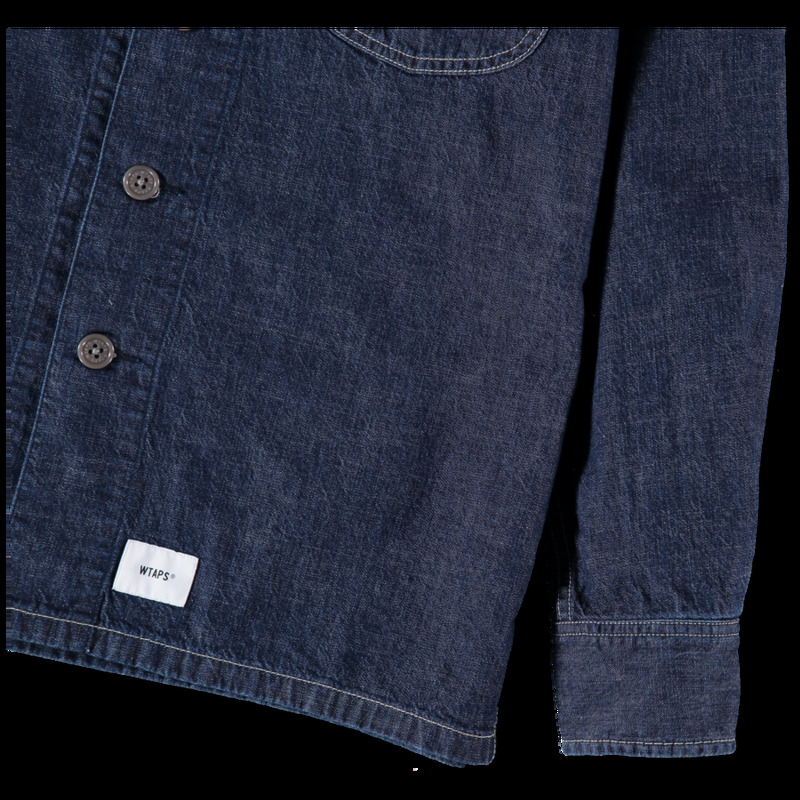 Straight hem with small woven branding.